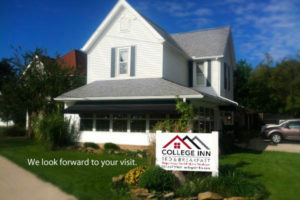 The College Inn is a 5-room Marion, Indiana bed and breakfast located just steps from Indiana Wesleyan University and across the street from College Wesleyan Church. Style & Comfort… The founder of College Inn Bed & Breakfast has tailored “this old house” to maximize comfort. A stunning renovation to a 105-year-old-home promises not to disappoint. 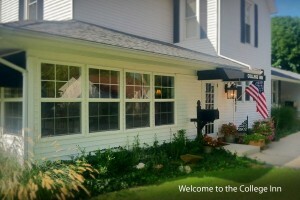 From the breakfast porch to the well-appointed guest rooms, all visitors are sure to be pleased at College Inn. 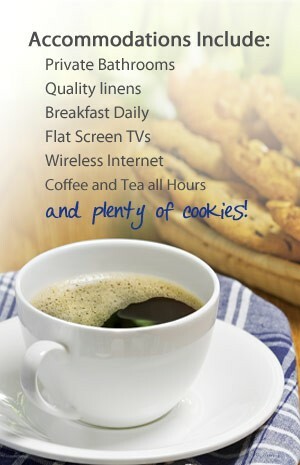 At our Marion, Indiana bed and breakfast guests will discover 5 comfortable rooms with private bathrooms, the latest in flat screen TVs, free wireless internet connection, and a location close to all the action. 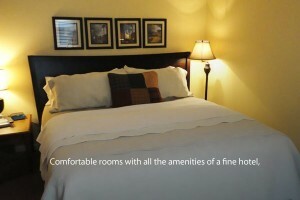 Our rooms also feature high quality linens and the most luxurious beds from the Denver Mattress Company. 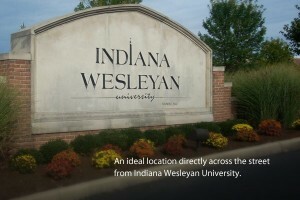 Only Steps Away… College Inn is only steps away from College Wesleyan Church and the heart of Indiana Wesleyan University. Our Marion, Indiana bed and breakfast is the area’s most comfortable and convenient place to stay while visiting IWU.